Established in 1981, we were the first Ford Lincoln dealership in Barrie and were formerly known as Douglas Ford Lincoln. Following the acquisition by The Humberview Group, we underwent a major renovation to upgrade our facility and to rebrand ourselves as Bayfield Ford Lincoln. Bayfield Ford has always strived to excel at not only customer service, but also the quality of our work. Over the years, we have continued to expand our new and used inventory to better satisfy the demand of car shoppers from Barrie, Innisfil, Thornton, Midhurst and Oro-Medonte. We have constantly honed our technical skills and capacity to provide top notch repair and maintenance service for our valued customers. 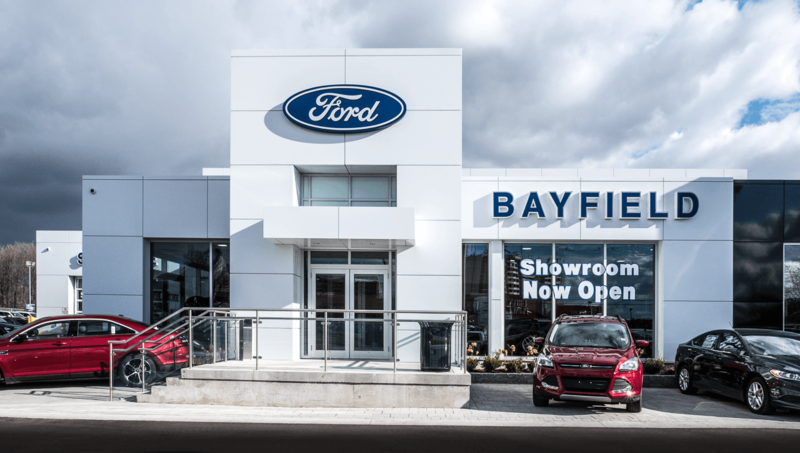 Bayfield Ford invites you to visit us at our Golden Mile location 379 Bayfield Street in Barrie, and discover why we are multiple award winners for customer service excellence, including the 2013 Ford President's Award Diamond Club winners! Whether you need a new Ford or used vehicle, or want professional maintenance or repair or body shop services, we invite you to give us a call, send us an email or drop in and see us at the dealership. We look forward to hearing from you! Whether shopping for your next car or getting a vehicle repaired, we have the right products and services to help you accomplish your tasks quickly and efficiently. You can get everything at our location: vehicle sales, insurance, service/maintenance, parts/accessories and even body shop service. Besides, we offer in-house leasing, which provides a handy option for customers with credit challenges. In addition to an impressive lineup of new Ford and Lincoln cars, we also carry a wide variety of used vehicles of all makes. Being a part of The Humberview Group allows us to gain access to a large shared inventory of over 4,000 vehicles, so we can always find the best car for your needs. As an established dealership in Barrie, we take great pride in what we do and go beyond our limits to ensure highest customer satisfaction. 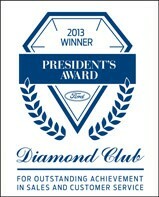 That is why we have won multiple awards over the years, including the 2010, 2011 Ford President's Award Diamond Club. Visit our dealership to find out why our customers love doing business with us. Located on the main street of Barrie, our location is ideal for customers in and around the area. In fact, you can easily reach our "Golden Mile" location by private or public transportation from anywhere in Barrie, Innisfil, Midhurst, Thornton and Oro-Medonte. In every single department (Sales, Service, Body Shop, Parts) we have multiple team members that have worked here for over two decades. That gives our Bayfield Ford Lincoln a sense of family and helps us to bond closely with our customers and our community. Bayfield Ford has a special Owner Advantage program for our loyal customers. The program helps you to earn extra savings when servicing your vehicle at our dealership. Besides, our customers are eligible for special perks and incentives from The Humberview Group, one of the Ontario's largest car dealer networks.